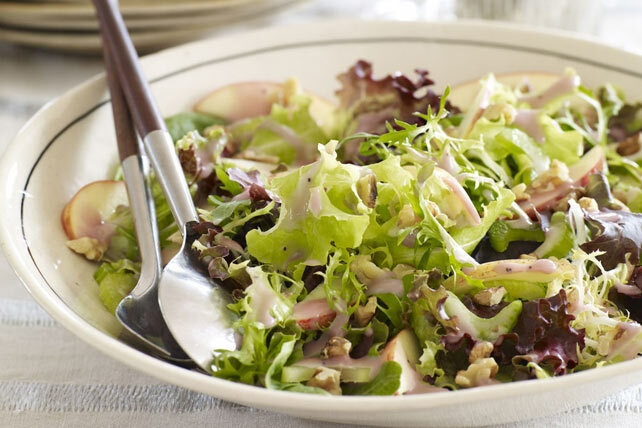 Featuring the crunch of sweet apples and toasted walnuts, this fresh salad is the perfect side to serve at your next get-together. Toss salad greens with ingredients in large bowl. Substitute baby spinach or arugula for the mixed salad greens and/or pecans or almonds for the walnuts. Prepare using a Red Delicious apple.